Tooele Tri has extended the Shirt Deadline for the 2018 Kids Triathlon and Sprint Triathlon until Thursday, June 7, 2018. You don’t want to miss out on the awesome shirt and race! 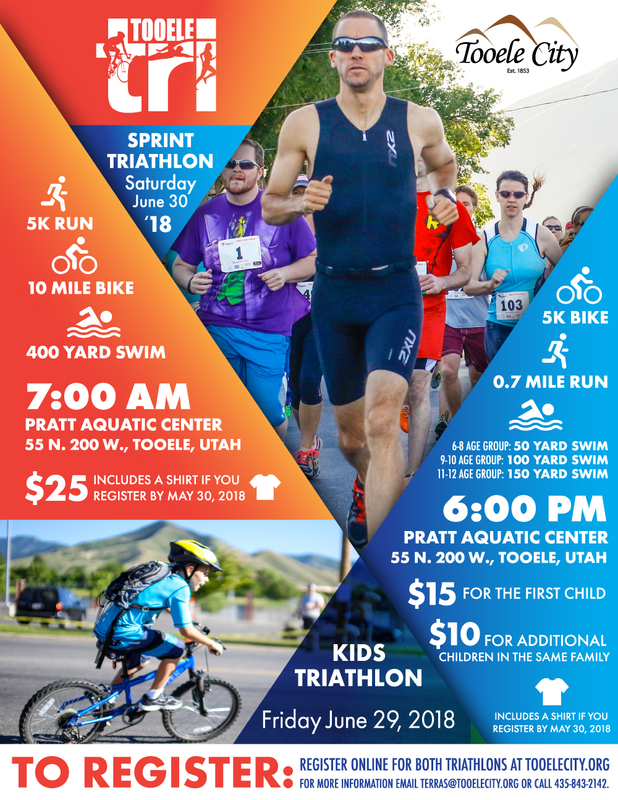 The Tooele Tri is a Kids and Sprint Triathlon that is part of Tooele City’s week-long 4th of July festivities. Part of Tooele City’s week-long 4th of July Celebration! 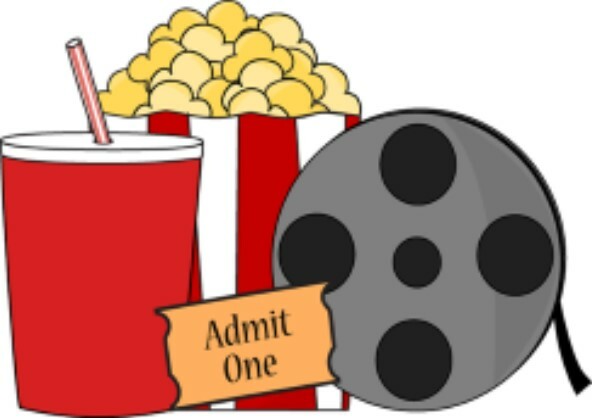 Bring your blanket, chairs, and goodies to enjoy a fun, family movie. 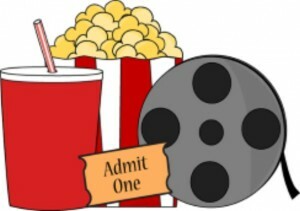 Come at 7:00 p.m. and enjoy the FREE Fridays on Vine Summer Concert “Peter Breinholt” then stay for the movie. Please call 435-843-2292 for show title. 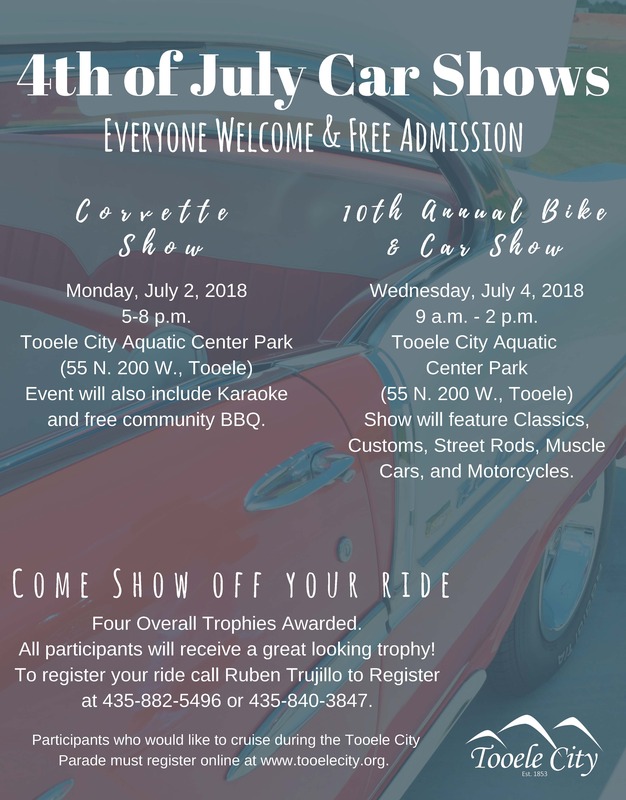 The Miss Tooele City Pageant is held as part of Tooele City’s week-long 4th of July festivities. We will crown a new Miss Tooele City to represent our City this night. This is a free community event. All are welcome to attend! For more information about the Miss Tooele City Program CLICK HERE. All those wishing to participate should pre-register by calling Ron Baum at (435) 830-7601. Open Microphone: 4 – 5 p.m.
Also on July 2nd join us for the Corvette Car Show and a FREE Community BBQ! Car show also on July 4th. Contact Ruben Trujillo at 435.840.3847 for more information. 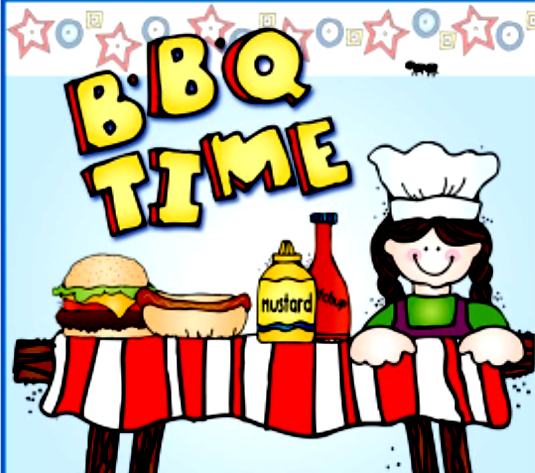 Also on July 2nd – join us for Karaoke and a FREE Community BBQ! Bring the whole Family! Free dinner while supplies last. Bring your blankets or chairs to sit on to enjoy this FREE event! Also on July 2nd – join us for Karaoke and the Corvette Car Show! Tooele City is excited to announce “Terri Clark” as this year’s 4th of July Concert! Fireworks will begin at the conclusion of the concert. Tickets go on sale June 1, 2018. Get your tickets for only $5 each at Tooele City Hall (90 North Main Street, Tooele) or Macey’s Food & Drug (972 North Main Street, Tooele). General Admission Bleacher Seating. No Coolers Allowed. The gates open at 7:00 p.m. and the Concert starts at 8:00 p.m. then stay for Fireworks! Hailing from Medicine Hat, Alberta, Canada, Terri Clark got her start by playing for tips at Tootsie’s Orchid Lounge, a legendary honky-tonk bar across the alley from Nashville’s historic Ryman Auditorium. With over 5 million albums sold, critically acclaimed international tours, and hit singles such as “Better Things To Do,” “Poor Poor Pitiful Me,” “Girls Lie Too,” “Northern Girl,” and “I Just Wanna Be Mad,” Terri has solidified her place in the history books of country music. The 3-time JUNO Award winner holds the honor of being the only Canadian female member of the legendary Grand Ole Opry. She has been named CCMA Female Vocalist of the Year five times and has taken home eight CCMA Fan’s Choice Awards. In total, Terri has had the honor of receiving 19 CCMA Awards. 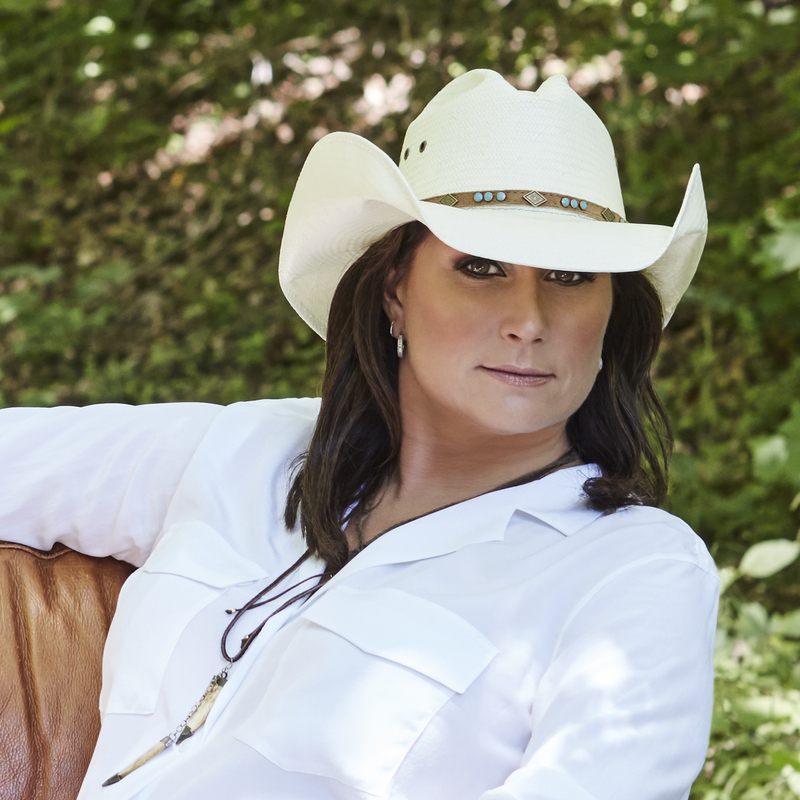 In 2016, Country Gold with Terri Clark debuted. The internationally syndicated Westwood One radio showairs on more than 145 stations across the USA and Canada and in November 2017 Terri was nominated for a CMA Award for National Broadcast Personality of the Year and in 2018 Terri received an ACM Award nomination for National On-Air Personality of the Year. Fireworks following the Rodeo on July 4th!